This time its my boyfriends mum’s wedding. As soon as I heard I offered to make the cake, I have been hoping for another opportunity after being so happy with the last one. They have pretty much given me free reins to do what I want, which is perfect because I had an idea as soon as I heard about the wedding. 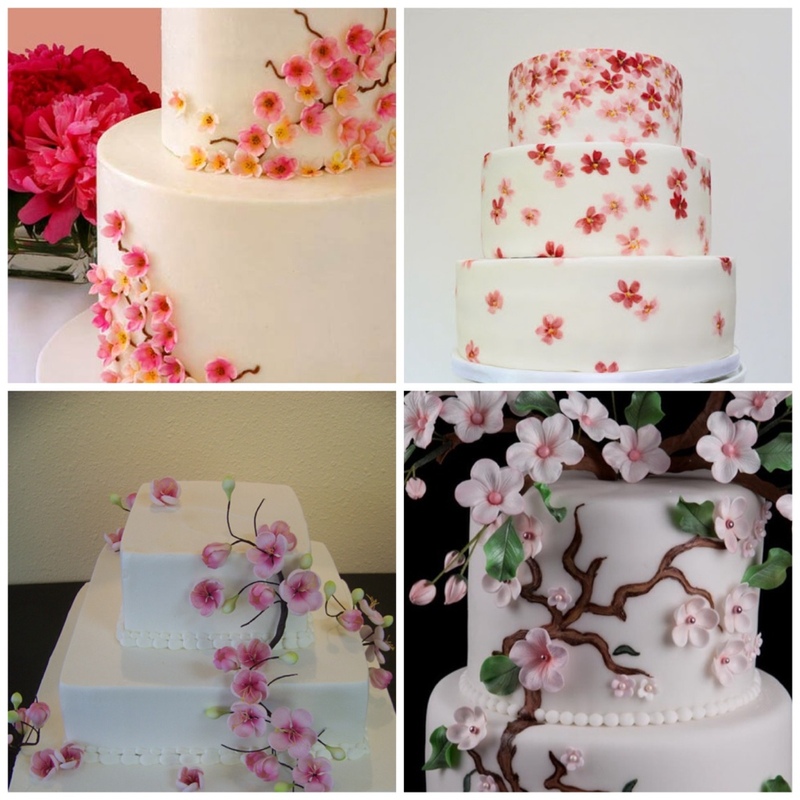 I want to make them a three or four tiered cake with royal icing this time so I can have a go at creating a more traditional finish, decorated with cherry blossoms, to match the invites that I have also made. All of these photos have been saved directly from google, at the time I didn’t even think of keeping sources. 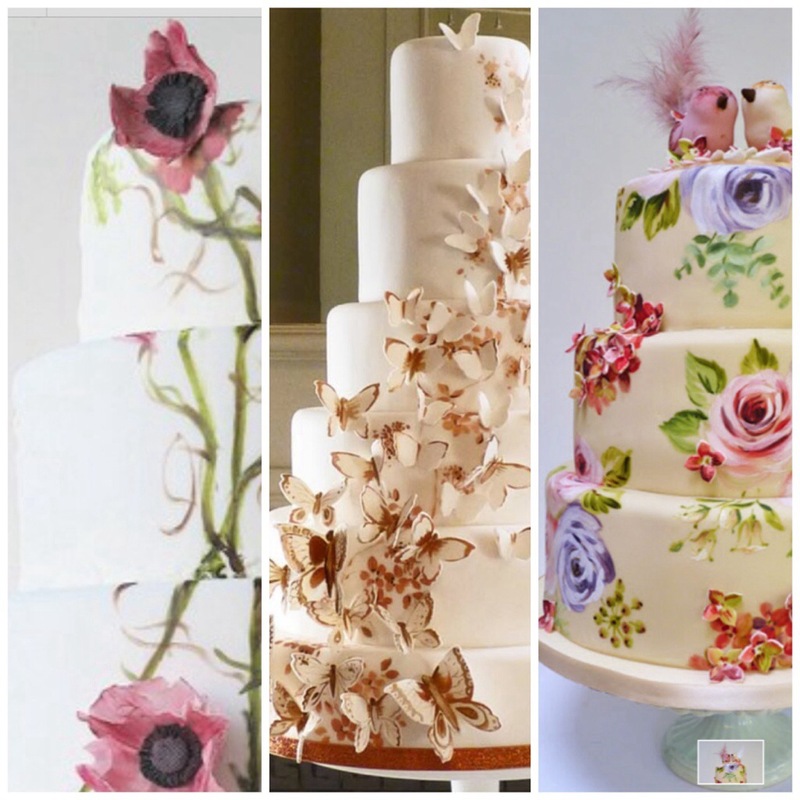 I apologise for sharing your images without naming you amazing bakers. The poppy cake is great, so wild and beautiful, I had never thought of poppies anywhere except fields of crimson, yet what I wonderful and unique idea. 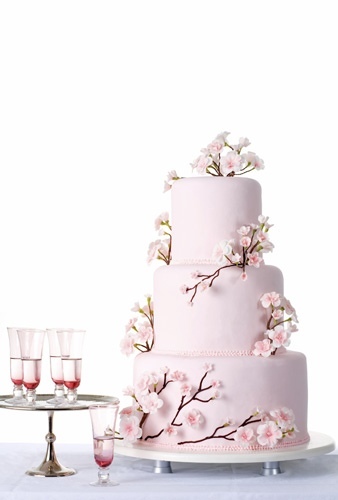 I popped it here as an example of making the flowers and painting the stems/branches. I absolutely adore these two cakes. I love how natural the first one is, the flowers aren’t overpowering and instead of going around in one sweep the are scattered which is less common. 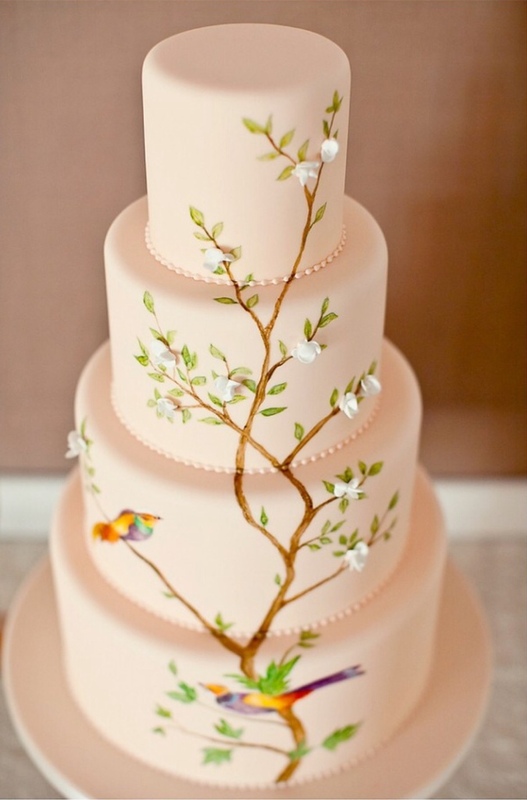 As for the second one, its so delicate with the tiny weeny flowers and leaves and the birds are just stunning.